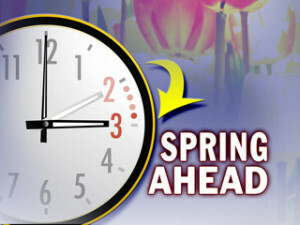 It’s tomorrow morning at 2:00 AM – Daylight Saving Time begins. Spring is almost here and the days are getting longer. Don’t forget to set your clock forward one hour – (Probably when you go to bed tonight) so at 2:00 AM it will really be 3:00 AM. This may also be a good time to change the batteries in your smoke alarms.